The property is a Georgian terraced town house in South East London. The requirement was to replicate and restore the original stone architectural features that had been removed, using neighbouring properties as a guide to replicate the details. After discussing the clients requirement, a site survey was carried out, specific drawings produced and bespoke stone features manufactured. The stone features produced included pediments, fluted corbels, large decorative stringers, small Georgian heritage stringers, decorative headers and dentils. 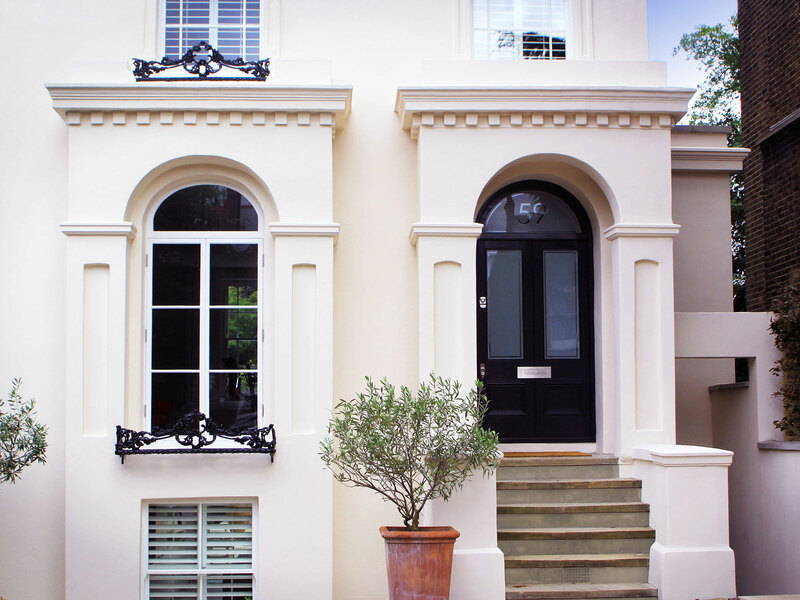 They were then seamlessly fitted to the property by the client, along with a re-render and re-installation of the wrought iron details. The superb improvement to the appearence of the property has significantly increased its value and saleability. So much so, we are now carrying out similar projects on neighbouring properties.